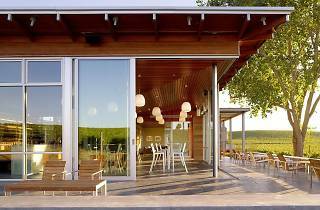 At this understated eco-friendly winery, your tasting will take place on a stone patio overlooking rolling hills of chardonnay and pinot noir vines, the two varietals Cuvaison is best known for. 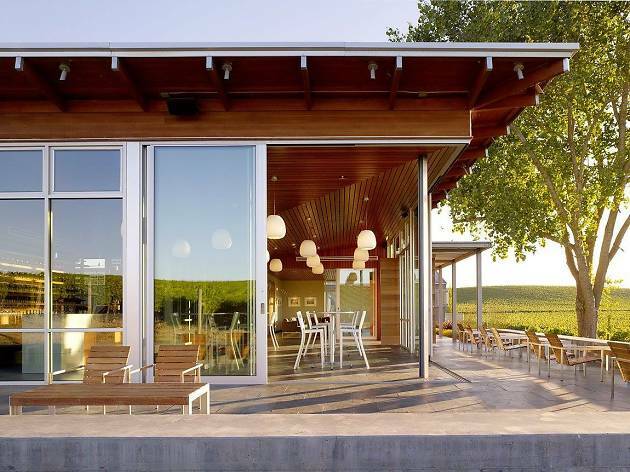 The minimalistic architecture of the sun-filled, glass-windowed tasting room—designed by Gould Evans—makes for a tranquil place to sip, swirl and take in the view. Glance to your left and you'll see 1,400 solar panels atop the winery (the most visable of Cuvaison's many green initiatives) or across acres of vines for a view of Domaine Carneros, Cuvaison's closest neighbor. Keep an eye out for affable winemaker Steve Rogstad, who's often walking the certified sustainable vineyards, tending to his fruit. How to visit: Cuvaison is open seven days a week from 10am to 5pm, with the last seating beginning at 4pm. A four-wine flight tasting lasts one hour and costs $25; no food is served. Tastings are by appointment only.